Fish. Go fishing and log the time, the conditions, the location and the fish you catch. Log. Login to The Pro Fishing Log website and add a new fishing log or basic fishing journal entry by entering the fishing info you logged on the lake or river while fishing. Learn. Improve your chances of a succesful trip by researching your fishing log and basic fishing journal entries, before heading out to the lake. The Pro Fishing Log makes it easy to keep track of all your fishing log entries. And with the release of the new PFX Fishing Log App, it’s even easier to analyze the log entries of your fishing trips. You can research and discover patterns ahead of time to help make your future fishing trips more successful. Why deal with a paper fishing log or spreadsheet that is difficult to maintain. Why struggle to determine the best places to fish from loose sheets of a paper fishing journal or rack your brain looking at scattered rows in a spreadsheet? Become a better fisherman. It’s time for less fishing and more catching. 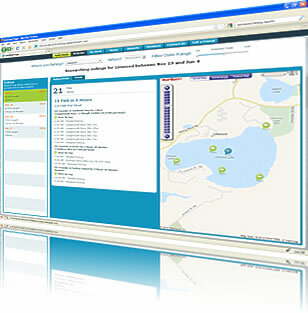 Search public fishing logs for fishing reports. Currently, you can also search by Minnesota lakes for Minnesota fishing reports, but mapped fishing reports are coming soon. The Pro Fishing Log also is a place to keep in contact with your fishing partners. You can make it your own online fishing club by inviting fishing partners to register and then adding them to your fishing partner list. For those who want to keep things a little more simple, the basic fishing journal will continue to be available on the website. To access your basic fishing journal, login or register and click the Log Manager link at the top of the page. The Pro Fishing Log is secure. You control who can view your basic fishing journal entries. You set each journal entry as either private, partner only or public. In the PFX Fishing Log app you set which of your partners has access to new locations you add. By default, only you will see it on the map. Nobody has to know about your new secret fishing spot.